You’re ready to exchange vows, and you have your bridesmaids picked out. Even your flower girl has her dress ordered. But, there’s one problem: you don’t have a wedding officiant. You remember Aunt Sophy’s horror story about the priest who couldn’t stop cracking wedding night jokes at your cousin’s wedding, and your blood runs cold. Then, there’s Grandma Patty’s ex-husband who officiated at your neighbor’s wedding: he pigged out at the hors d’oeuvres table, and now your neighbor’s not speaking to you. So, what’s a bride (or groom) to do? Read on for tips on Hiring the right celebrant for your wedding. Whether you’re religious or not, your celebrant should be enthusiastic, pleasant, and professional in his approach. If you’re a Star Wars fan, ask your celebrant how he feels about putting on a Han Solo cape for the ceremony. If he balks, you’ve got the wrong guy. On the other hand, if you’re a Lord of the Rings fan, and your celebrant is ready to get togged up as Sauron or a Balrog, you have a problem of a different sort. The key is to find a celebrant you feel comfortable with. Always ask your celebrant how he structures the wedding ceremony. Is he set in his ways, or will he accommodate your wishes on certain matters? A good celebrant will be flexible and empathetic; he’ll offer helpful advice but won’t pressure you to conform to his expectations. It’s wise to negotiate your celebrant’s fees at your initial meeting. Ask whether he charges late fees or other additional fees for his services. For example, will he charge a late fee if the wedding begins late? Does he have a substitute celebrant to take his place in the event of an emergency? Will he add to his base fee if asked to perform special rites outside of his experience? For example, if you’re angling for a Blade Runner wedding, how much will your celebrant charge you for agreeing to operate a faux Voight-Kampff machine during the ceremony? Make sure your celebrant is properly credentialed and possesses the right liability and professional indemnity insurances. Also, ask if your celebrant is familiar with different types of wedding ceremony customs, from the traditional to more esoteric ones. This may be one of the most important questions you will ask your potential celebrant: can he produce testimonials from well-satisfied clients? If so, you may have found the right officiant for your wedding. Regardless of the challenges involved in finding the right celebrant, you understand the necessity of a meticulous approach. After you finish vetting candidates for a wedding officiator, remember to relieve your stresses by speaking to Greg Byrne, from Lily Road. Satisfied customers are bragging that Lily Road offers the best wedding entertainment this side of the South Pacific Ocean. If you’re looking to find talented wedding singers to headline your reception, look no further than Lily Road Band. Greg will tell you that you can choose from among the cream of the crop of the band’s singers. Lily Road’s performers will front either the Sydney wedding band or Melbourne wedding band. Rest assured that your Lily Band wedding singer will have had experience performing the most popular and latest songs for weddings. 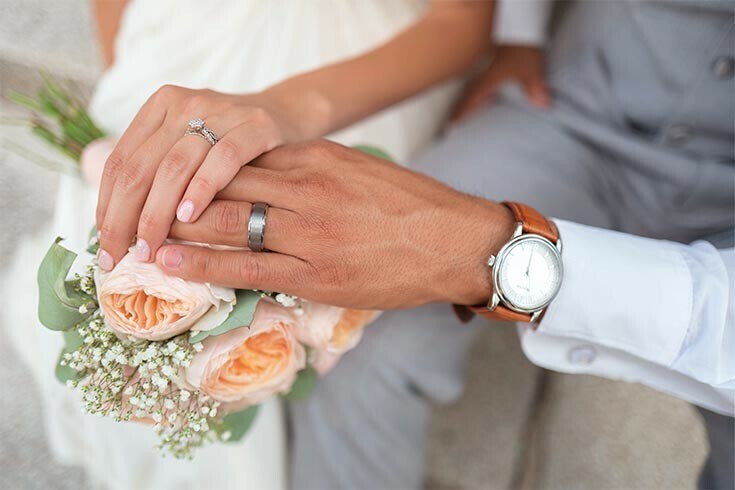 After your exhaustive and likely stressful search for the right celebrant, you’ll want to focus on the fun part of the wedding: the reception. Musicians from our Sydney and Melbourne wedding bands lineups have toured with the likes of John Legend, Aerosmith, Billy Joel, and Maroon 5. They can perform music from many genres and musical styles. Check out the pictures and testimonials that say it all: you can’t go wrong with Lily Road Band when it comes to music.